You thought Coca-Cola was getting personal when it rolled out 250 bottle labels featuring people's first names. 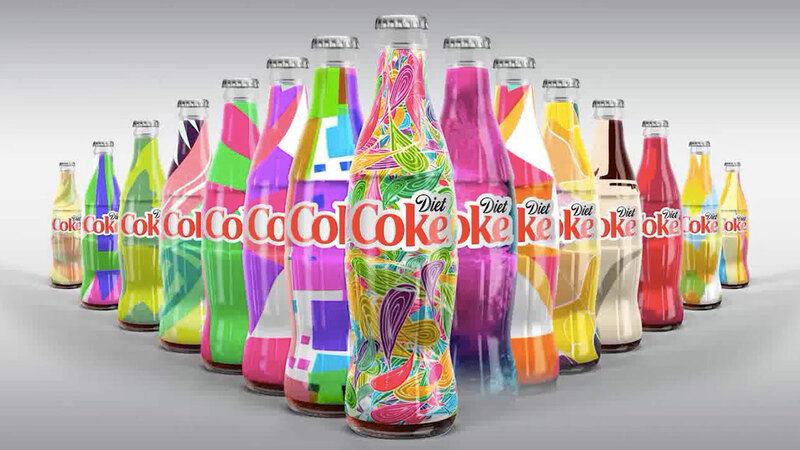 Well, Diet Coke just went and individualized 2 million bottle designs. Coca-Coca Israel created the campaign, with help from Gefen Team, Q Digital and HP Indigo. (In fact, it was Indigo, which was founded in Israel, that helped Coke solve the enormous production challenges around the "Share a Coke" campaign when it first rolled out in Australia in 2011.) For the Diet Coke project—which echoes a similar stunt by Absolut in 2012—a special algorithm led to a unique design technique that allowed millions of designs to be completely auto-generated. The concept nicely extended to the ad campaign, which featured hundreds of uniquely designed billboards, as well as point-of-sale stunts that sold T-shirts and other merchandise featuring your specific bottle design. The genius of "Share a Coke," of course, was how personalized it felt, rather than how personalized it actually was. (Your first name actually isn't very unique at all—and if it is, it sure wasn't on a Coke bottle.) Still, the Diet Coke idea is triumph, too—the designs look fantastic, on top of it all—even if it won't generate the same level of buzz. Check out more images below, along with a case study video showing the process.